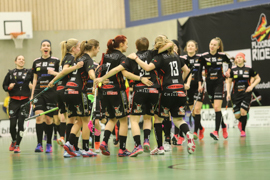 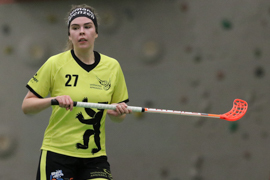 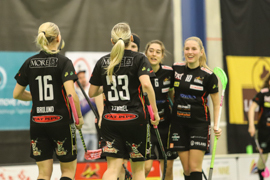 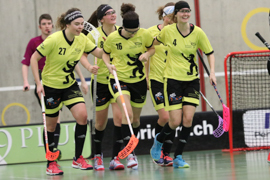 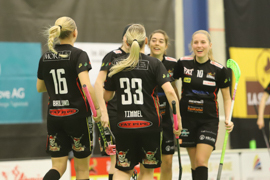 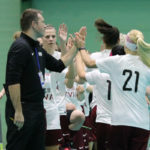 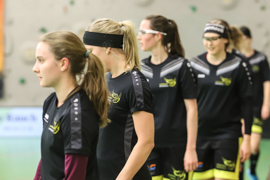 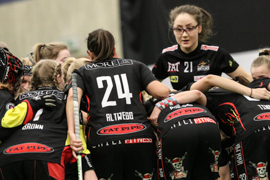 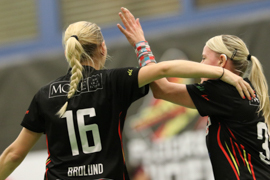 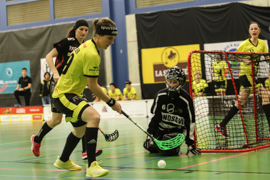 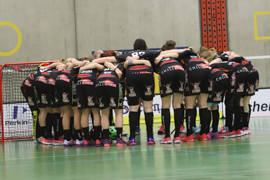 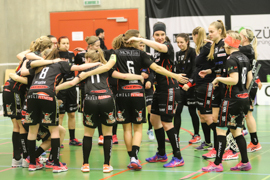 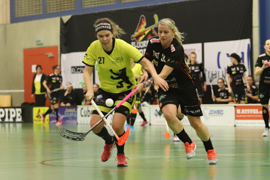 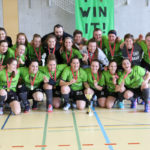 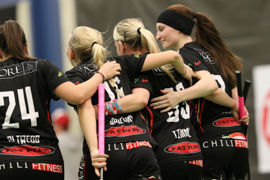 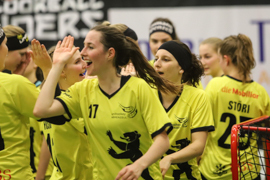 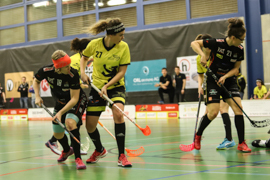 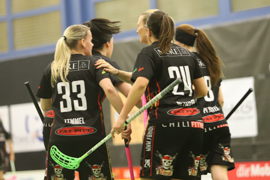 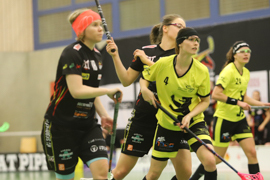 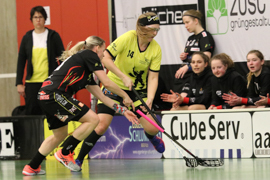 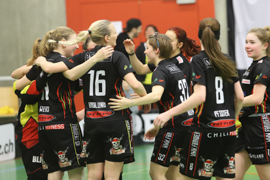 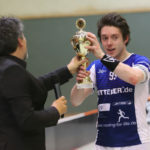 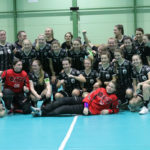 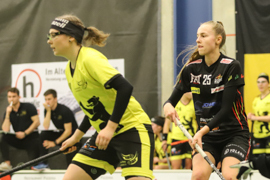 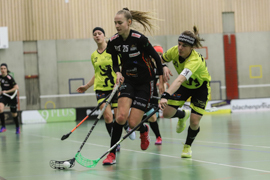 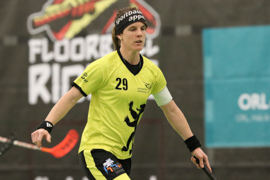 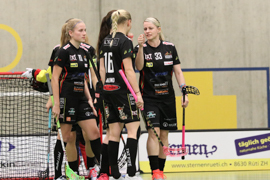 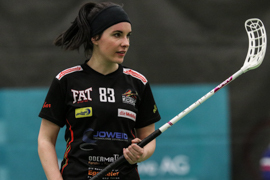 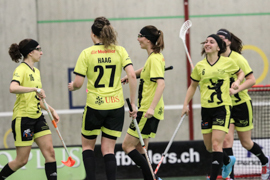 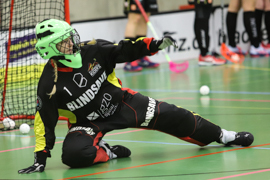 Saturday, 19th January 2019, featured an interesting match in the Women Floorball Swiss Nationalliga B: The Floorball Riders hosted Appenzell, both teams in the top pool of candidates to be potentially promoted to Nationalliga A for the next season. 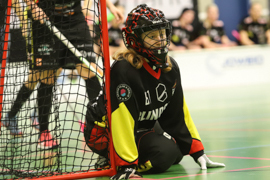 Thereby, the Riders feature two German national team honored players: while goalie Christa Brünn is not in the roster for the WFC Qualification in Slovakia in February, legendary Katja Timmel has finished her international career. 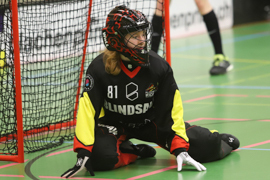 While Brünn had to take the role of the backup goalie, her sister and also double-citizenship holder Iris Brünn played in the offense as well as Timmel. 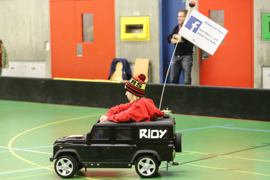 The first ten minutes of the match were rather uneventful. 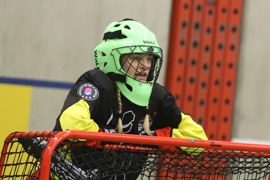 The Riders seemed to have a bit more ball possession, while the guests did a better gameplay and showed some better moves. 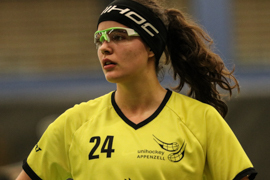 Thus, it was quite surprisng that Appenzell took the lead early lead: Corina Zwingli converted a right wing attack after some three minutes. 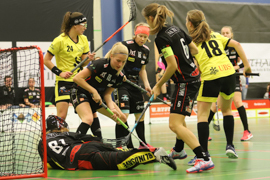 There was much more action before the intermission break thereafter. 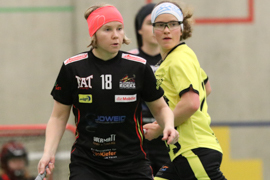 Katja Timmel played the ball to Sarah Altwegg on the left wing in the 12th minute, who gave a lovely pass to Malin Brolung, who tied the score. 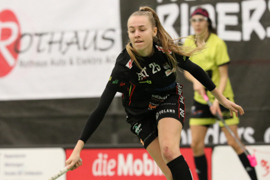 Timmel wasted a massive chance thereafter to score the second Riders goal, but Nadine Roten did better after 14 minutes. 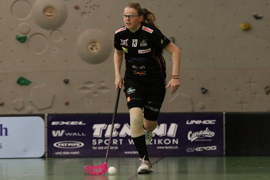 She deflected a Fabienne Thoma shot – Marianne Knellwolf in the Appenzell goal did not even show any reaction when the ball trundled over the goal line. 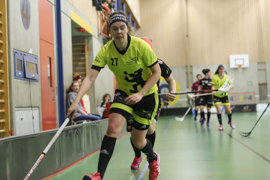 Appenzell tied the score just 50 seconds later, when she was free in the slot. 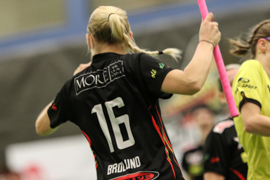 That felt like a fair score for that turbulent period, but Brolund added her second goal in the 19th minute. 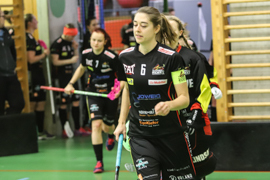 You should not take a longer break at the “Festwirtschaft” in Rüti – Brolund added her third goal just after 36 seconds in the second period. 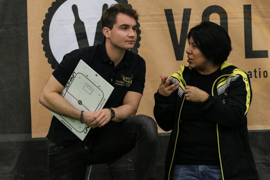 However, there was by far less action now again. 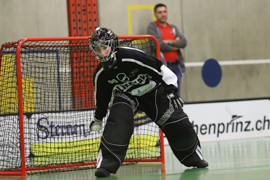 The offensive lines did not break through the opponent’s defense on both sides, so that neither goalie really had to show some nice saves. 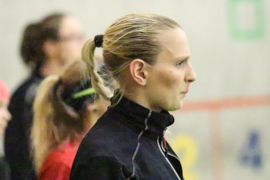 Samira Eberle closed up the score for Appenzell in the 34th minute. 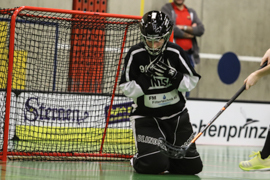 There were just two really thrilling moments in the remaining period. 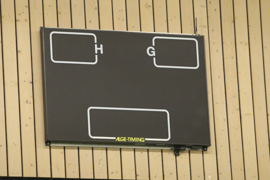 First of all, the match clock failed to work. 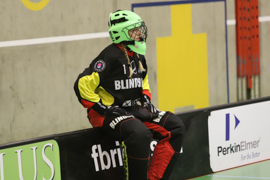 The Riders did not manage to recover it before the third period. 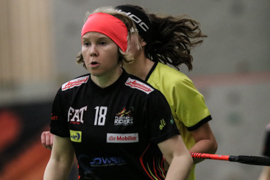 With less than two minutes remaining, Ida Suikka tipped the ball into the net and gave the hosts a more comfortable position. 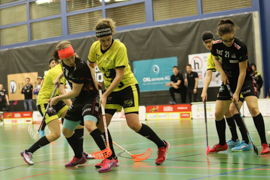 You would expect that Appenzell would push for the comeback in the third period – but first, they had to recover from some injuries: first, Rebecca Gmünder tripped unluckily after two minutes, Sarah Fuster hurt herself in the offensive zone right thereafter. 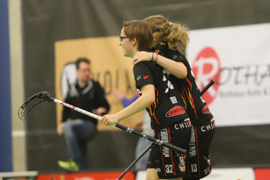 The match became a bit more rough,. 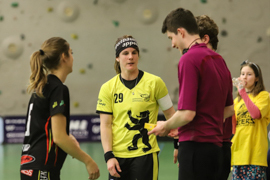 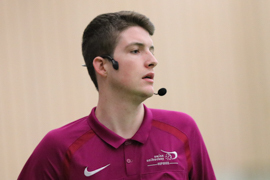 the referees Björn von der Crone and Dominik Schittli did not show full control of the match any more. 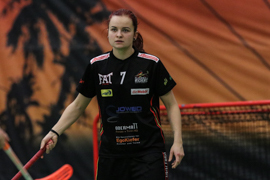 Time ticked down without too much trouble on Svenja Schöni’s goal. 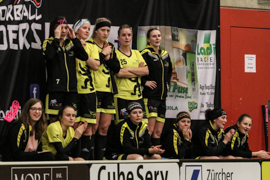 Thus, Appenzell took their time-out quite early with five minutes left on the clock. 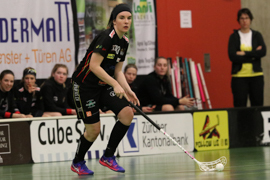 Vivane Manser even took profit after 58 minutes, when the Riders defense did not show any effort to bloick her central shot after a free hit. 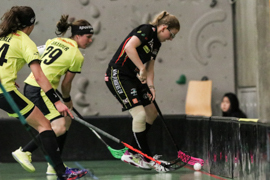 But finally, Appenzell did not do enough to tie the score or even win the match. 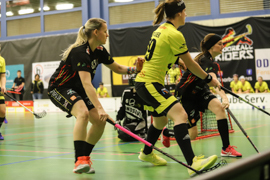 While some parts of the match were really interesting to watch (especially the end of the first period), some parts of it tended to be quite chaotic. 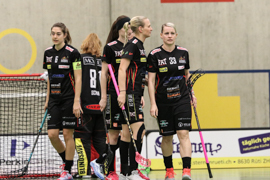 Especially after seeing Swedish Superleague in Täby recently, the differences become too significant. 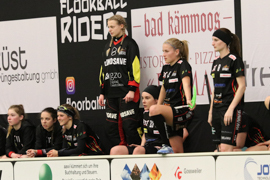 The Riders, though, felt to have more control of the game and thus deserved to win this match. 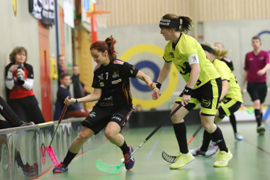 No points for Appenzell in this one. 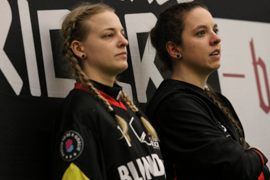 Bad luck that Christa Brünn did not complete the German trio in the rink (counting Iris Brünn as well, who might not feel too German…). 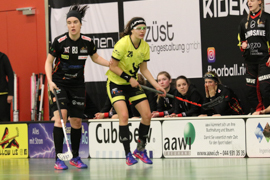 Katja Timmel did not have her luckiest match, Iris Brünn is quite energetic and showed that she can be a very valuable NLB player. 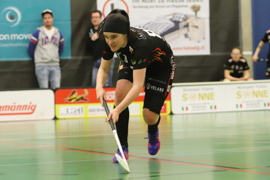 However, in this match, she also struggled in some situations. 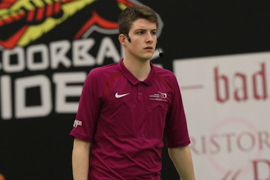 One thing I was thinking about very much in this match and also in the Frauenfeld one I visited the day thereafter was the intercom unit the referees were using. 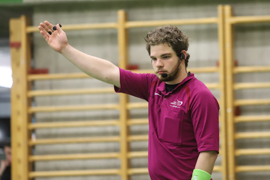 I feel that many referees nowadays use this technical gadget too early. 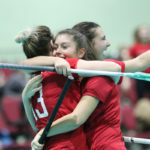 Yes, it gives you some comfort, but very often, it also gives you too much of it. 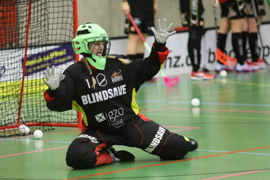 You should concentrate on the basics first before you work on that easier way of communication.